Quick Cash Plan found at quickcashplan.co promises to make you guaranteed profits with their automated software. Make sure you read this review before proceeding, because Quick Cash Plan is a scam. Find out the truths behind the scam in our Quick Cash Plan review. Be careful – Quick Cash Plan is a scam. You may come across Quick Cash Plan in one of the following ways – a pop up that appears when you surf the internet, an advertisement banner that you saw online, or an email you received that seems like a suspicious click-bait. This is the first red flag you should take note of, because giving fake promises and generating hypes is one of the hallmarks of internet scams. The only purpose of the headline is to attract your attention and make you watch the entire sales video. Once you focus on the video, this is where Quick Cash Plan scam starts their brainwash session. The owner of Quick Cash Plan chooses to be anonymous, but he tells the story of how he went from being broke to a millionaire using a software that runs on its own. He wants you to empathize with him and relate it to your own frustrations in life. He asks you to imagine a life without money problems, a life where you can take luxurious vacations at any time. Of course, this is just a tactic to feed your imaginations to make you fall into the trap. Not only that, he is showing the testimonials from several “members” of Quick Cash Plan within the sales video itself. Every single one of them gives a highly positive review for Quick Cash Plan, but this is where the truth of scam is exposed. The real identity of this Quick Cash Plan “member” is a Fiverr actress. Compare the image above to the first image in this review. This is the very same lady who claims that she’s making thousands of dollars from Quick Cash Plan system. However, her real identity is actually a Fiverr actress. 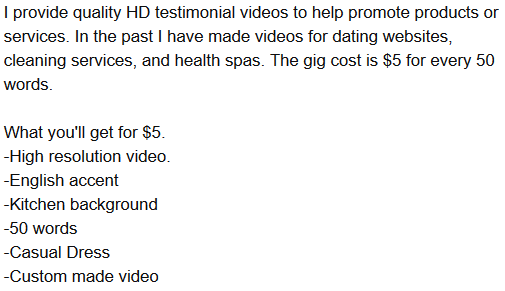 You can view her Fiverr profile here, and she made money by recording this fake testimonial for Quick Cash Plan scam. It’s called buying a testimonial. 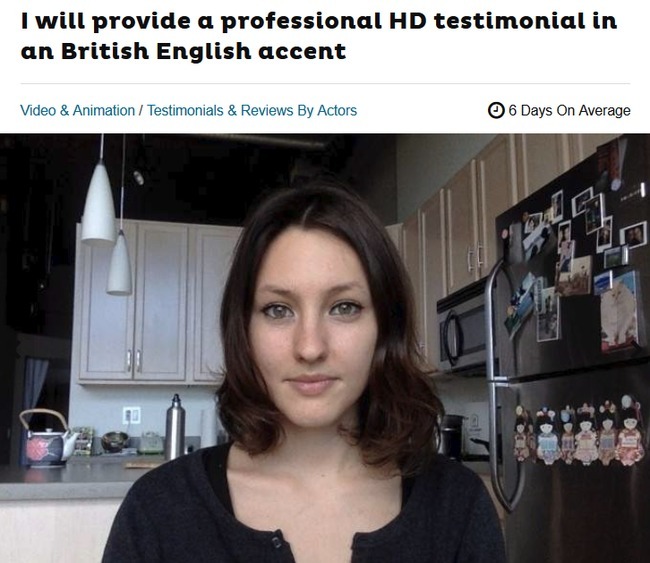 If Quick Cash Plan is really as good as advertised, why would they need to hire an actress and fake the testimonial? There’s only one reason – because the scammers are out to get your money, but the software doesn’t work as advertised at all. So the next time you come across internet opportunities that sound too good to be true, such as Quick Cash Plan, stay vigilant and do some research. They are most likely scams. We have several more conclusive evidence to prove that Quick Cash Plan is a scam, but let’s leave it to the later part of this review. Since this is a binary trading software scam, I need to explain how binary trading works first to make sure everyone is on the same page. If you have experience trading binary options, you may skip ahead to the next segment. This is how it works – let’s say I guess that the price of gold market (or any other tradable assets) will rise after 3 minutes, and I invest $50 in a 3-minutes contract. When the time is up, and the price is indeed higher, I win a certain percentage of what I bet, usually between 60% to 80% (between $30 to $40). But if I’m wrong, I lose the entire sum that I bet. In reality, trading binary options is not that different from gambling. There’s just no way to predict the market direction in such a short period of time. The odds of winning each trade is just like guessing the outcome of a coin toss – it’s 50-50. We’ve read the disclaimers, and it’s not good for you. Despite promising you a fully automated, profit generating software, Quick Cash Plan scam is saying otherwise in their risk disclaimer. Due to the high risk nature of trading, “Quick Cash Plan” explicitly does not make any express or implied warranties or guarantees that user will make any profit or that user will not lose any or all deposited investment funds. Neither Quick Cash Plan nor its officials are responsible for any losses related to use of its services or software. Use of this website indicates your acceptance of this website! Despite promising you a $4,592 average winning in 90 minutes in their sales materials, Quick Cash Plan scam admits that they do not guarantee any profit to user, and it is very likely that users will lose all deposited funds. Again, Quick Cash Plan scam agrees that trading binary options is extremely risky, and you should only use their software if you are able to stomach the loss of your entire investments. 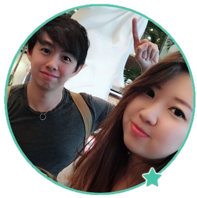 Despite promoting the software as fully automated and newbie friendly, somehow Quick Cash Plan is only suitable for investors who have the knowledge to understand binary trading and its underlying assets. Quick Cash Plan is not responsible if you lose all your investments using their software. Once you are on the website, you are deemed to have read and accepted all these terms, even if you haven’t read them! It is obvious that the scammers behind Quick Cash Plan scam are trying to escape the blatant lies and promises they have told you in the sales materials. The disclaimer is crafted to disavow all fake claims they’ve made in their sales materials, make sure they are not responsible when the users inevitably lose money, and finally force you to agree to the terms even if you did not read them. If Quick Cash Plan scam wanted to be upfront about the risks of trading binary options using their software, they would’ve told you in the sales materials. Instead, they choose to hide the truth while giving you fake promises and testimonials. If you decide to sign up for Quick Cash Plan, you’ll have to register for a broker account through their sales page (which is an affiliate link). The scammers will earn a sum of referral fees as soon as you deposit into the account. I was assigned to BinaryTILT, an affiliated broker with Quick Cash Plan. The minimum deposit with this broker is $250. Even if you already have an account with their recommended broker, you have to register for a new one using a different email address. This is because the scammers behind Quick Cash Plan cannot earn their referral fees unless you sign up for a trading account through their affiliate link. Is Quick Cash Plan a Scam? YES, QUICK CASH PLAN IS A SCAM. As we’ve said in the review earlier, we don’t recommend binary options trading as a way to make money online, at all. It’s not that different from gambling, and using an automated trading software is no different. You are essentially putting your hopes and entire investment in a piece of software that gambles on your behalf.